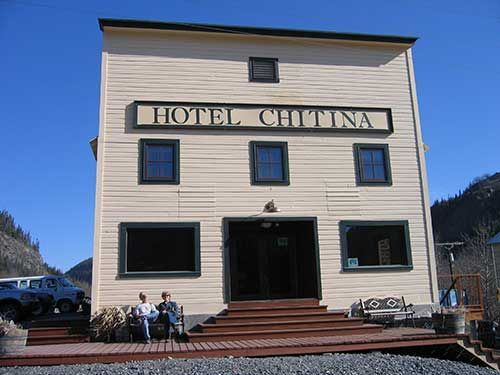 The Hotel Chitina Is One Of The Few Old-Style Buildings Left In The Copper Valley. 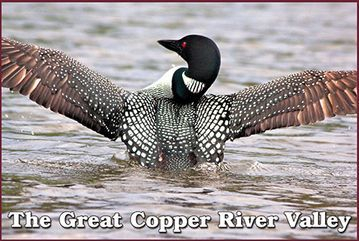 There are only a few actual Copper River Valley "towns." One of them is a ghost town, Chitina. 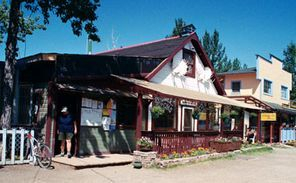 It has old buildings that were built during the time of the running of the Kennicott mines. Down the McCarthy Road is another actual "town" – again, with old historic buildings. This is the town of McCarthy, which was a supply point for the Kennicott Mines. 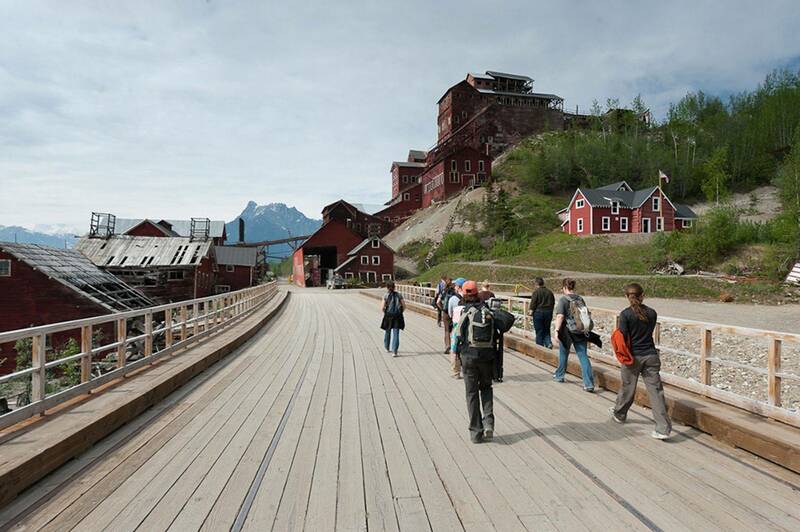 Kennicott itself has a "town" of sorts, which stemmed from housing for mine workers. The other major "towns" in the Copper Valley are Copper Center, which is actually a very long group of loosely linked homes on the Old Richardson Highway, and the cluster of buildings that hug the junction of the Glenn & Richardson Highways and is known as Glennallen. In the modern American sense of the word, none of these are really towns, because they have no mayors, or city councils, or dogcatchers or building inspectors. Or property taxes. The true settlers of the Copper River Valley are the Ahtna people. 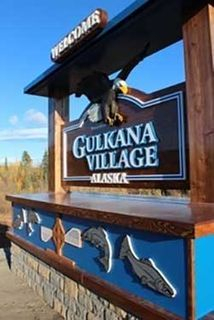 In Alaska, the term "village" almost always means "Native American Village." Before the late 1800's, the Ahtna people lived in large territories, with mutually understood borders for each family, or band. In each of these territories, there was a range of hunting and gathering opportunities. For example, bands had access to fish areas, and lands that extended into the hills where they could hunt for dall sheep. In Alaska, migratory arrivals and departures of all kinds of animals are very common. The Ahtna people were also great travelers. They traveled outside of their region to trade with surrounding Native people, including fellow Athabascan Indians, Eyak and other coastal Indians, and Eskimos. They also routinely traveled on circuits throughout the Copper Valley itself, within their own territories, following the well-understood migratory patterns of caribou, moose, and other valuable animals. Eventually, in the 1950's, Alaska made laws that forced Native people in the Copper Valley and elsewhere to stay in one place to send their children to schools. This led to year-round "villages", often assembling near trading posts that were most often placed at the mouth of a tributary of the Copper River. Today, there are a number of official Native villages in the Copper Valley, most located very near the site of both a fishing or river outlet and a former trading post or lodge. From north to south, the Ahtna villages are: Mentasta, Chistochina, Gulkana, Gakona, Tazlina, Copper Center (Kluti-Kaah), and Chitina. There is another Ahtna village outside the actual physical parameters of the Copper Valley, called Cantwell, on the Parks Highway. A majority of Copper Valley people don't live in either a town or a village. Most people live out on one of the roads somewhere. 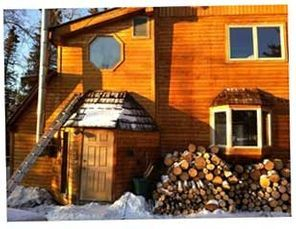 Some homes are visible from the highways, but many are not, so you may travel through places where you are not aware that there is an actual "community" and population, where people know each other and have lived for decades. The communities that have sprung up often are named by the residents, and their boundaries (since there are no governmental agencies to name them) have been self-named over the years. Some have stemmed from old Native names. These areas include "Glacier View," Mendeltna, Nelchina, Slana, Lower Tonsina, Kenny Lake and other places.